“It’s messy. It’s itchy. It makes me – ah, ah, a-choo – sneeze! 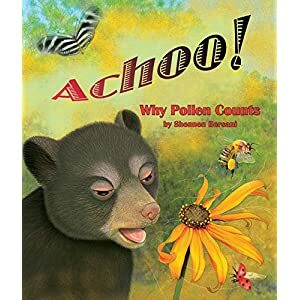 I wish there was no such thing as pollen,” Baby Bear declares in Shennen Bersani’s children’s book, Achoo! Why Pollen Counts. At thirty-two unnumbered pages, this over-sized paperback with thick folding jacket covers targets children ages four to eight years old who enjoy educational stories about nature. With no scary scenes or profanity, it may be best read out loud by adults to beginner readers due to some complicated wording. In this charming and enlightening story, Baby Bear comes out of his den after hibernating all winter and gets covered with pollen. Rolling around in the spring grass, he gets watery eyes, a runny nose, and itchy fur. Realizing he is allergic to pollen, the bear wishes there was no such thing as it. Momma Bear explains that the forest needs the special dust as some animals eat it while others help pollinate plants with it. A springtime spider, a butterfly and bee during the summer, a fall harvest ladybug, and a winter owl inform the bear that pollen is needed during each season of the year. Although still allergic, Baby Bear changes his mind when he understands he eats pollen too; he comprehends how important it is to the world. The last four pages have more educational tools of learning activities for creative minds that involves understanding allergies, flower parts with pictures, the pollination process, a matching puzzle of animals and insects to particular flowers, and information on bees being excellent pollinators. Numbered suggestions are offered on how to help honeybees survive. What makes this book fun is not only the beautiful, detailed illustrations and a cute storyline that teaches about allergies, but also the informational data at the back of the book for older readers. Any child will love viewing the animals and insects to the floating pollen as they learn how vital this fine powder is to our planet throughout the four seasons. Award-winning children’s book illustrator, author Bersani obviously loves nature and life lessons for children of all ages. Having illustrated many books with her detailed, realistic designs, the Massachusetts artist has produced her first written picture book. Thanks to Arbordale Publishing and Bookpleasures for furnishing this complimentary book in exchange for a review of the reader’s honest opinion. This review will be posted on Bookpleasures and Amazon with links on Bookfun.org, Godinterest, Pinterest, LinkedIn, Facebook, and Twitter. 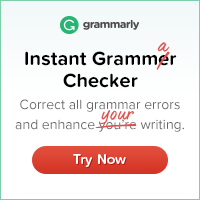 GRAMMARLY was used to check for errors in this review.